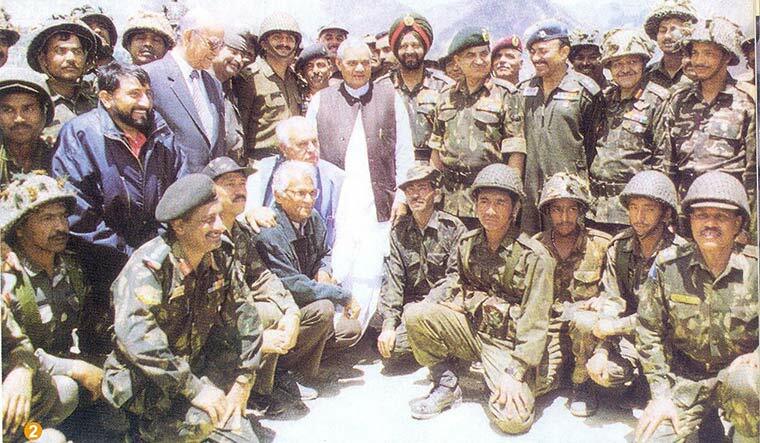 Leading from the front: Vajpayee with an Army contingent after India won the Kargil war. AS WE APPROACHED the turn of the millennium, leading western nations were treating India like a pariah. Atal Bihari Vajpayee, who was prime minister for just 13 days, had come back to power in a coalition, and within a month gave the go ahead for ‘Pokhran II’. A coalition partner pulled the carpet from under his feet barely a year later. No head of government could have had lesser clout within or outside the country, as Vajpayee did in early 1999. And, no government could have been as poorly placed as the Vajpayee-led government was at that time to face a war. Yet, that was exactly what it had on its hands. As the snow started melting along the northern Line of Control (LoC), there were ominous reports of the Pakistanis having occupied some of our posts. The government was reluctant to bring in air power, for that certainly meant an escalation, despite the fact that we were the aggrieved party. After the Army’s request to bring in the Air Force got turned down a couple of times, the Army chief had requested yet another meeting of the cabinet committee on security. It was an answer I half-expected. Yet, I had a strong gut-feeling that if it came to a crunch, and the Air Force had no recourse other than crossing the the LoC, the PM, after due deliberation, would have given the green signal. For all his outward calm and statesmanship, Vajpayee had the courage of his convictions to state things bluntly, as borne out by his secret letter to US president Bill Clinton. “We will push them out, one way or the other,” wrote Vajpayee, warning Clinton that if he could not persuade Pakistan prime minister Nawaz Sharif to vacate Indian posts, crossing the LoC was not ruled out. The Kargil conflict had dragged on for long and it must have been tough on Vajpayee to keep calm. Yet, outwardly, he remained remarkably cool, showing little emotion, other than deep concern for the fallen souls. Loss of two fighters on the second day of air operations and a helicopter the following day shook the nation, for air losses have a greater impact on the national psyche; yet, when explained that the losses were caused by the excessive enthusiasm of the pilots, he nodded ruefully, understanding the spirit of young blood. Not once did he question the military leadership, for mutually confident politico-military relations are essential for success in any war. By not crossing the LoC, diplomatically India had gained enormously, a factor that allowed us to get the US to make Pakistan accept a ceasefire and vacate all Indian posts. That was Vajpayee’s finest hour. But, his heart was set on pushing the Indo-Pak peace process, and extricate ourselves from the Kashmir morass. His historic initiative was the inauguration of the Delhi-Lahore bus service, a step sought to be neutralised by the foxy, duplicitous Pervez Musharraf, who was then Pak army chief, refusing to honour his prime minister’s direction to be at the Wagah border to receive our prime minister; a clear indication that India’s biggest hurdle in improving India-Pakistan relations is the Pak army, which is loathe to relinquish its hold on the country. Notwithstanding this reality, and the double whammy of Musharraf’s Kargil treachery, the statesman and the nationalist that he was, Vajpayee opted to hold the Agra summit in 2001. It is beyond any sane man’s comprehension how the Indian public could have gone ga-ga over Musharraf, who, as army chief, had shown utter disrespect to our prime minister, and had been the villain behind the Kargil mindlessness. When I did not salute this scheming murderer, Vajpayee wished his air chief had followed protocol. He did not say so; instead he had casually inquired, “Suna hai aap ne Musharraf saab ko salute nahin kiya (Heard you did not salute Musharraf)?” “That was so sir,” I replied. Before an explanation could be offered, he moved forward to greet others. To this day, I am not certain what exactly the prime minister felt and whether he was inclined to reprove me. Always pleasant, and proper in his dealings with service chiefs, he loved light-heartedness at social events, and enjoyed humour. 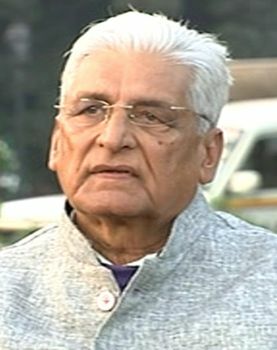 Before his retirement, Army chief Ved Malik had invited Vajpayee and defence minister George Fernandes for dinner. The host with his two guests of honour and my wife were seated at a table, and I was seated at the next. Suddenly, in the middle of the dinner, we were all startled by peals of laughter from Vajpayee. As she recalled the incident later, my wife had difficulty in controlling her laughter. Vajpayee was surprised when Fernandes accepted fish after declining a meat dish. My wife then remarked, “Oh, he is a fish-tarian!” Vajpayee was puzzled. She explained, “In the services, those who eat everything are called non-vegetarians, those who eat eggs are egg-tarians, and those who eat fish....,” before she could complete, the prime minister was guffawing. Tipnis was chief of air staff.